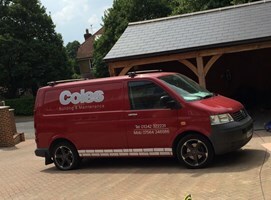 Coles Building and Maintenance - Fencing/Gates based in East Grinstead, West Sussex. Welcome to Coles Building and Maintenance. We have been established since 2009, a professional building company with over 15 years of experience undertaking all aspects of building work to a high standard. Specialising in fencing & gates, decking, patios and driveways. Please click here to see a full list of our services. Our business has grown in the last 10 years working within in our local area. Providing a Friendly, Reliable and trustworthy Service.